Having Diabetes doesn’t mean that you need to stop eating tasty things, it just means using the right ingredients to make tasty things. Continuing from last week, we are sharing with you Binge recipes approved by our inhouse dietician, Ms. Mokshika Gada. 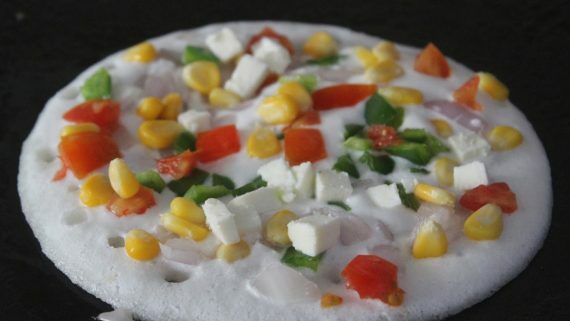 Today, she shares with us the recipe of Pizza Dosa. Combine the urad dal and fenugreek seeds in a deep bowl and soak it for 2 hours in enough water. Drain well and blend in a mixer till smooth using approx water. Transfer the mixture into a deep bowl, add the jowar flour, whole wheat flour, salt and approx. 2 cups of water and mix very well using a whisk. Cover with a lid and keep aside to ferment overnight.Next day, mix very well again. 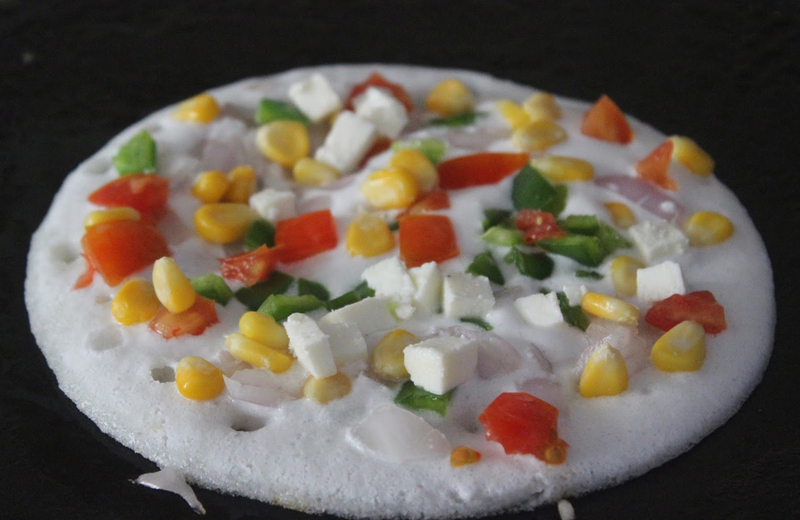 Spread a ladleful of dosa batter slightly thick on hot tawa. Top with 1 tsp butter. Spread gently.